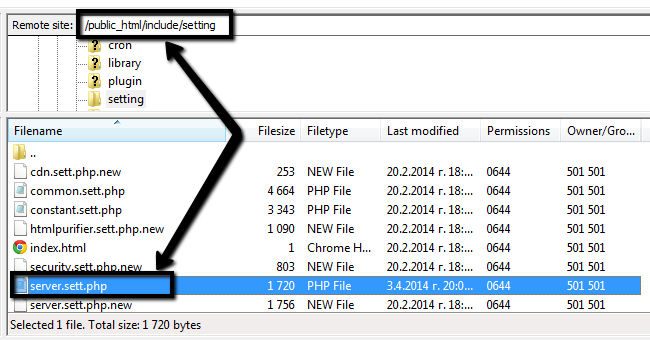 The current tutorial will provide a closer look to the main configuration file of PHPFox and how to locate/use it. It does not matter if you are a developer or not, the main configuration file is something that you should be aware of. It contains some important information for your website. There are two ways of reviewing the files on your account - using an FTP client, following our FTP tutorial, or reviewing them directly through your cPanel account > File Manager, following our cPanel tutorial. In our case, the PHPFox installation is located directly within the public_html/ directory. The configuration file contains a lot of data. However, the most important part is the database details and the setup of your website’s domain. You can use that information for your PHPFox configuration, or when creating or restoring backups of your website.